Waspaloy washers are known for their superb high strength at elevated temperatures. Waspaloy is a high performance nickel alloy combined with cobalt, chrome and molybdenum to create it’s unique combination of strength and high temperature stability. Similar to that of Inconel 718 washers, Waspaloy washers exceed the strength and stability of Inconel 718 at elevated temperatures beyond 1400°F. In addition, the oxidation resistance of Waspaloy washers make it an ideal materials for high temperature applications like gas turbines engines, and a variety of other aerospace components. 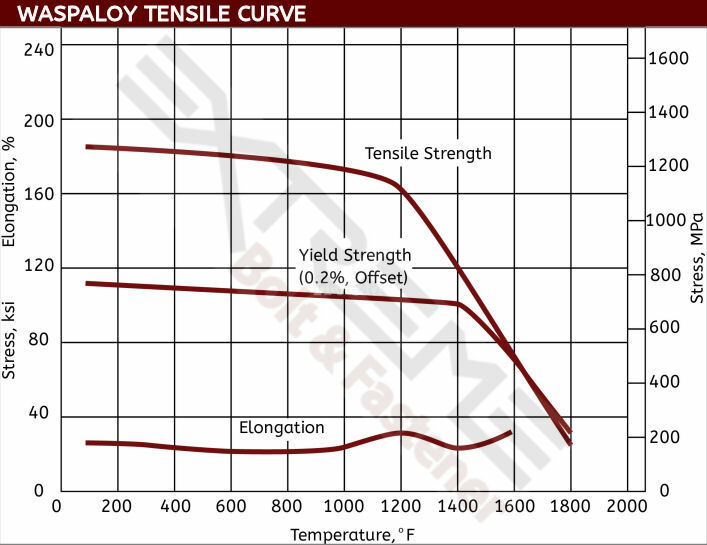 Waspaloy is a solution annealed and age hardended alloy which provides its high strength properties. There are a few aging varieties however the AMS 5708 is one of the more common.